Thank you for coming along to The Big Celebration, and for helping make the event a success! 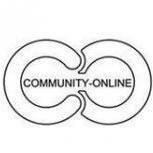 Charity Rummage Sale at the Weston Rhyn Village Institute, 10am - 12pm. Stalls available - £5. Please contact Angela on 01691 770016 for more information or to book. 50p entry. Proceeds to local charities. 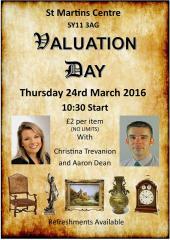 Valuation day at St Martins Centre.